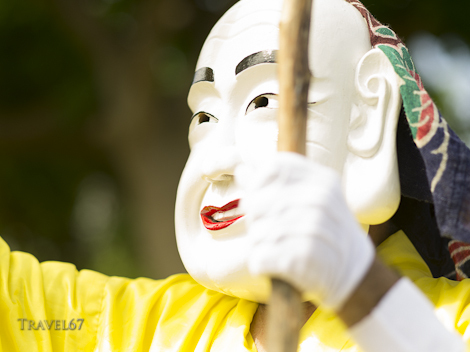 Festivals in Okinawa’s southern islands (collectively know as the Yaeyama Islands) are similar but not identical to those on the main island of Okinawa. 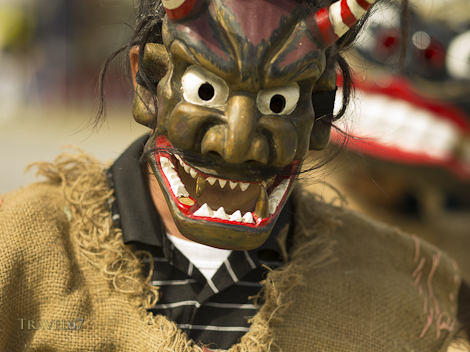 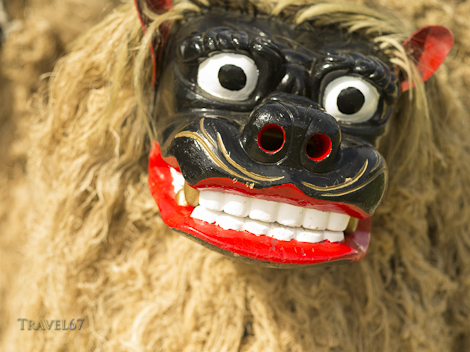 Shishi lions and ryukyu dancers are common to both, while it seems only the Yaeyama festivals include the god Miroku (white mask) and the rain god Fusamarah (red mask). 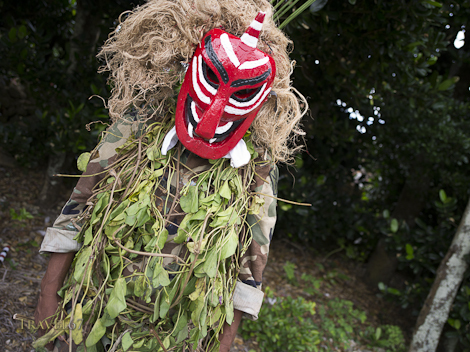 The images of the man dressed as the rain god Fusamarah show how the presence of the American military has slowly made it’s way into the everyday lives of Okinawans even on the most remote islands. 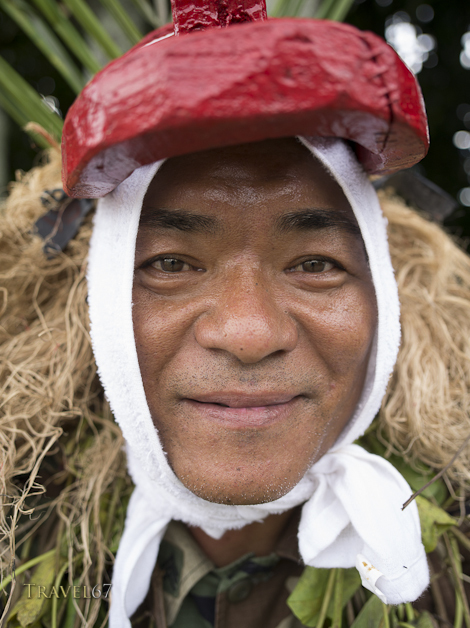 Local farmers are particularly fond of army surplus uniforms, they must be particularly rugged, cheap, and ubiquitous to have become almost standard equipment for Okinawans working out in their fields.